China’s economic weight and influence continue to effect change in the air transport industry as a growing number of Chinese firms look beyond its borders for investment opportunities in foreign airports. The most recent wave of outbound investment appears some 30 miles outside Cambodia’s tourist town of Siem Reap, where contractors have begun preparing a 1,700-acre site for a new international airport. Under an exclusive 55-year build, operate, and transfer (BOT) concession, the greenfield project—spearheaded by China’s state-run Yunnan Investment Holdings—will materialize in three phases. During the first and second phase, the company plans to invest $500 million to build a 4E class airport, which will allow for short- to medium-haul aircraft. It plans to allocate another $300 million for the third phase, with the possibility of expanding to 4F compliance, meaning the airport could accommodate long-haul aircraft. 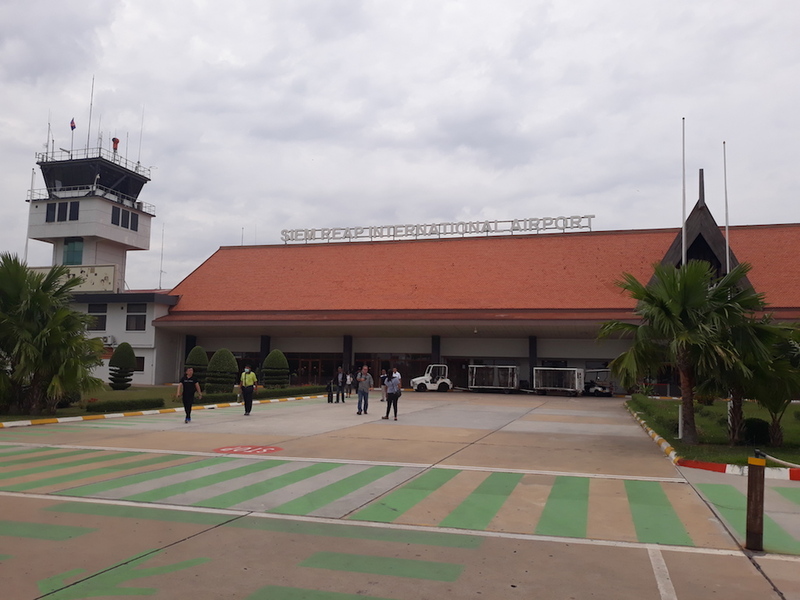 The new Siem Reap airport accounts for one of three major airport projects in planning stages. Earlier this year, the Cambodian government approved plans for a $1.5 billion, 6,500-acre airport, some 18 miles south of the capital Phnom Penh. A joint venture between Cambodia’s State Secretariat of Aviation (SSCA) and local conglomerate Overseas Cambodia Investment Corporation (OCIC), the project has drawn a reported $1.1 billion commitment from the state-run China Development Bank. The third beneficiary of Chinese investment will take the form of a new coastal airport in Koh Kong province. Backed by $350 million from China’s Tianjin Union Development Group, the Dara Sakor International Airport forms the centerpiece of the firm’s ambitious $3.8 billion tourism project that spreads across more than 100,000 acres. China has become a critical source of policy bank finance and sovereign wealth funds for the development and maintenance of a number of airports in Africa, Latin America, and the Caribbean. Across Europe, Chinese firms are more likely to partially or wholly own global hubs and second-tier airports. In March, HNA Group subsidiary HNA Airport Group, together with Dutch-registered Plovdiv Airport Invest, won a 35-year concession to operate Bulgaria’s Plovdiv Airport. On May 18, Bulgaria’s Transport Minister revealed the concessionaire will invest over $186 million in airport reconstruction and expansion. The HNA Group’s portfolio also includes an 82.5 percent stake in Frankfurt-Hahn Airport while its subsidiary, HNA Infrastructure, holds a 51 percent share in Rio de Janeiro Aeroportos—the management company of the Brazilian city’s Galeão Airport. In France, Casil Europe—a holding company created by China's state-owned Shandong Hi-Speed Group and the Hong Kong-based Friedmann Pacific Asset Management—holds a 49.99 percent share in Toulouse-Blagnac Airport. In Eastern and Central Europe, China Everbright Group, a state-backed financial firm is the sole shareholder of Albania’s Tirana airport while Slovenian-based Chinese company SHS Aviation owns and operates Slovenia’s Maribor airport. In England, sovereign wealth fund China Investment Corporation (CIC), holds a 10 percent stake in London's Heathrow Airport while China's Beijing Construction Engineering Group (BCEG) remains a long-standing equity and construction partner in the $1.3 billion airport city project at Manchester Airport.